The ore mill is a grinding processing equipment that pulverizes various non-metallic raw materials such as ore chemical raw materials. When each product is shipped from the factory, the manufacturer will mark different models. The model of the ore mill is also required to be seated. For the range of production required by the customer, different models are selected. Based on this, it is important to choose the model of the ore mill. Let’s take a look at this knowledge. The required configuration of this type of ore mill is in addition to the separate limestone mill mainframe, but also with other auxiliary production equipment, such as: jaw crusher (hammer crusher, impact crusher), conveyor , feeders, hoists, etc. to jointly form a complete milling production line. It is a popular search device in the current milling industry. 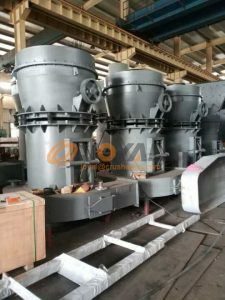 On the basis of thousands of ultra-fine grinding operations, Shanghai Joyal has invested a large amount of manpower, material resources and financial resources in the ultra-fine grinding grading field, repeatedly defeated, repeated defeats, innovation and R&D. Finally, the glory of the ore mill industry today. This ore mill uses the principle of grinding machine to carry out ultra-fine grinding to avoid impact and wear between metals, less metal wear and high whiteness of the product. The circulating air type grinding is used, and the finished product can be transported by hoist. It is two kinds of pneumatic conveying methods, simple and convenient, easy to operate and control. Like the ultra-fine mill, the fineness of production can be adjusted between 300 mesh and 3000 mesh. Raymond mill is a veteran of the ore mill industry. The whole machine structure is composed of main engine, analysis machine, pipeline device and blower. According to user needs, it can be equipped with crusher, hoist, electromagnetic vibrating feeder and electricity. Control motor and other components. The particle size of the finished product is arbitrarily adjusted according to the needs in the range of 60-400 mesh, and its pass-through rate is high, and the pass-through rate is as high as 99%, which is generally unachievable by other milling equipment. With so many types of ore mills, and the variety of models for each product, it is important to choose the model of the ore mill. This is beyond doubt. 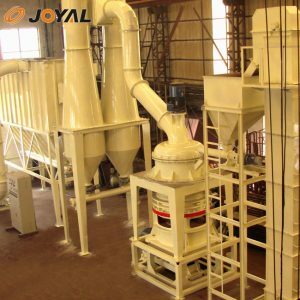 If you are confused about the selection of the model of the ore mill, you are welcome to call Shanghai JOYAL. Previous: Analyze the main role of talc powder processed by talc powder mill in papermaking processNext: Let’s talk about the method of mineral processing in Shajin Mine.